Dr. Mark McCoy was born in Lansing. MI but grew up in Columbia, SC where he graduated from Spring Valley High School. After receiving a B.S. 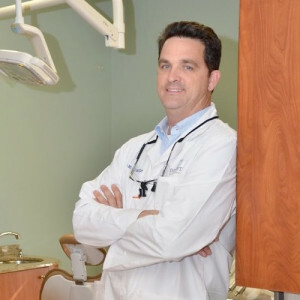 in Animal Science from Clemson University in 1994, he went on to earn his DMD degree in 1999 from the Medical University of South Carolina. He started working in Myrtle Beach in 1999 where he eventually opened his office in Carolina Forest in 2003. He is married, lives in Litchfield with his wife and two daughters. He enjoys his free time working on his farm where he maintains horses, beef cattle, chickens and honey bees. He enjoys hunting, fishing, collecting antiques and doing civil war reenactments.